I decided to take a walk yesterday for my cardio exercise and ended up in San Pedro Street where I couldn’t help but notice the buntings that hung over the street. They looked good and certainly helped bring in the vibe of the Kadayawan festival this month. 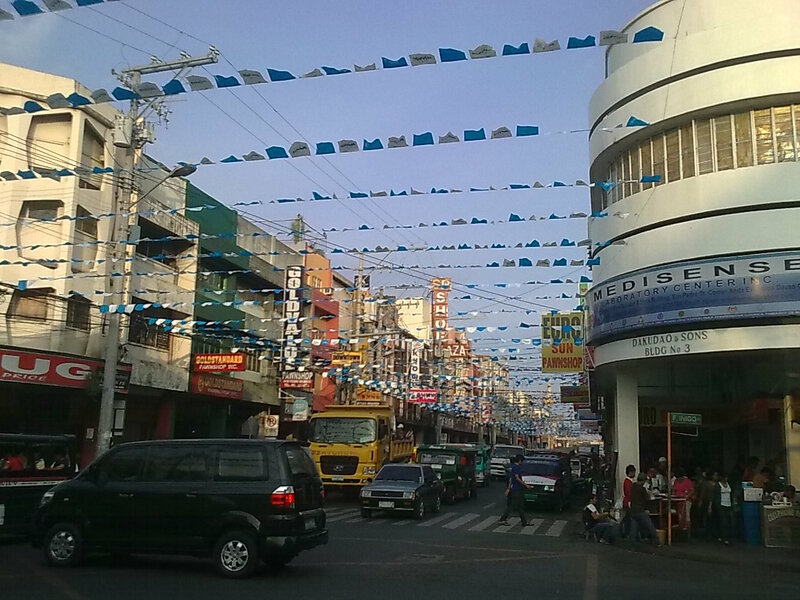 San Pedro Street is a good 10 minute walk from Davao Imperial Hotel. This part of the city is where trading of various kinds of goods abound. From ukay-ukay to general merchandise to DVD’s to tailoring to eye glasses and anything you can imagine of, it’s there. My cardio work-out for the day turned out to be an impromptu sight-seeing as I don’t usually wander in these streets because work doesn’t bring me here often. I also saw a place to buy and eat durian at the corner of JP Rizal and Inigo Street and was reminded that durian is in season. I’d love to eat one again one of these days. I came home at the Davao Imperial Hotel around 45 minutes of walking and sight seeing. It was a good afternoon. Thank God for simple pleasures. This entry was posted in Uncategorized and tagged Davao, Durian, festival, Imperial Hotel, Kadayawan, San Pedro Street by moonman0903. Bookmark the permalink.